Is tracking more important than delivery time? For Elliot Mallows, Asendia‘s head of marketing, it’s a clear yes. With customers eager for up-to-date information and rising operational challenges, the demand for transparency in the postal market is on the rise. According to a survey published recently by Trusted Shops, 40% of consumers have had negative online shopping experiences, half of whom cite late delivery as the problem. International postal company Asendia says that tracking deliveries is as important to its customers as a time window for delivery, especially with cross-border deliveries. 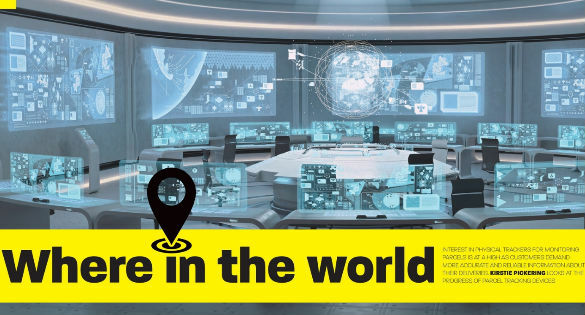 In its June issue, Postal & Parcel Technology International publishes a broad coverage on trackers for monitoring parcels. As the article states, tracking has now become an essential part of the customer experience. But in order to offer end-to-end visibility at large scale, current solutions like barcode, RFID and GPS trackers still have a long way to go. That’s where Kizy comes into play. “The tracker provides the maximum delivery transparency and security for our shoppers. We also use Kizy tracking for internal control of quality when testing delivery routes. By adding the trackers to a selection of items, we are able to follow them over the whole delivery chain and can recognize bottlenecks in processes and continuously improve delivery” says Elliott Mallows. Under this aspect, we are happy to announce that we are currently working with Asendia to add Kizy to their standard service offer. To learn more about how Kizy creates value for the postal & courier industry, read the full article in the online edition of Postal & Parcel Technology International.